Basics in Surrogacy: How Much Is A Surrogate Paid? Answered: How Much Is A Surrogate Paid? How much is a surrogate paid is an often-searched-for issue. Having the opportunity to help an intended parent or parents, and earning money while doing so, is one of the primary perks of becoming a surrogate mother. A gestational surrogate is compensated in many ways. At the end of her surrogacy journey, a surrogate receives the agreed-upon amount, as well as payment for additional expenses incurred throughout her surrogacy journey. A gestational surrogate mother may well obtain several types of income. Delivering the child is the key goal, so a surrogate mother is compensated well for this service. 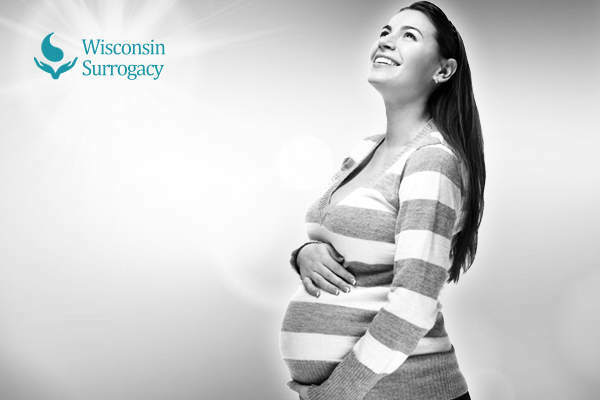 A beginning gestational surrogate may earn anywhere from $20,000 to $40,000. An experienced surrogate can earn anywhere from $30,000 to $50,000. In addition to the compensation earned following the surrogacy journey, a gestational surrogate mother receives other forms of compensation. These allowances may include, but not be limited to: travel expenses, a maternity clothing allowance, and fees for support groups. When it comes to travel, a gestational surrogate mother often needs assistance. Consequently, travel fees will cover not only your own travel, but also the expenses incurred by the partner who accompanies you during your compulsory surrogacy-related travel. Yet another allowance you may receive is for maternity clothing. Depending upon the contract you created with your agency and the intended parents, this allowance may be given to you as a one-time payment. If you have the ability to deliver multiple births, a specific agreed-upon amount will be paid to you as compensation for every child born. Bear in mind that this compensation will be part of the written contract you signed. Make sure that you review your written agreement before signing it. In addition, when an invasive procedure is performed, you will be compensated for it. One example is the extra payment you’ll receive when a C-section or Cesarean procedure is performed as an alternative to a natural delivery. During her pregnancy, a surrogate mother is also given a one-year life insurance policy to ensure that her family is protected financially in case the outcome isn’t positive. This doesn’t happen often, but life insurance provides assurance that if anything happens to you, your family will be well compensated. These are just a few answers to the question, “How much is a surrogate paid?” Sign up now and learn even more.